Is it legal to take items out of someone's trash? Secondhand goods are more popular than ever, with people finding treasures at thrift stores, consignment shops, flea markets and even on the curb. But if you see something amazing sticking out of a neighbor's trash can or a nearby dumpster, is it OK to help yourself? You'll want to use caution before you grab something out of the trash. For example, if you pick up an item off the streets of New York City and put it in your car, you'd be violating a local law. In 2010, a man loaded a discarded air conditioner into his aunt's car and both of them were fined $2,000 each, according to a Consumerist blog post. The law prohibiting people from picking up trash and putting it into a vehicle is supposed to deter organized rings of criminals from profiting from people's trash. However, passersby on foot are allowed to take stuff from the curb, according to the city's Department of Sanitation. If you're taking trash from private property or bypassing a gate or lock to do so, you may be violating trespassing laws. Other cities have "dumpster diving" laws to keep people from going through large trash containers. 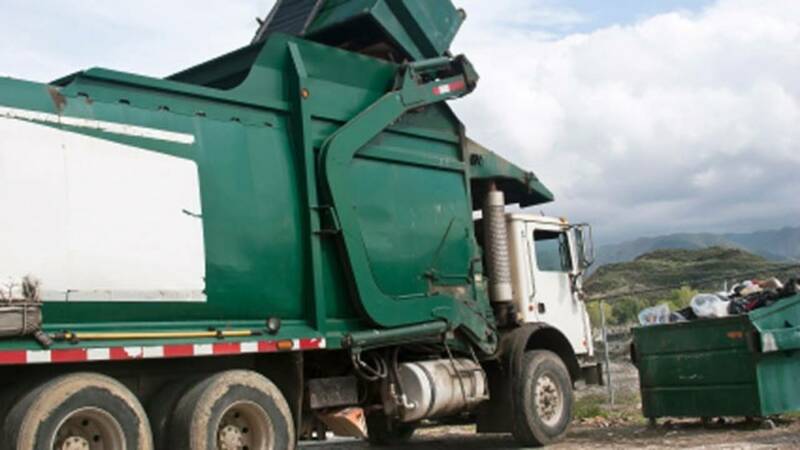 In 2010, the University of Colorado Denver banned dumpster diving because they felt students were being harassed as they threw away stuff at the end of the school year, reported KMGH. Those caught could face a fine of up to $1,000. It's best to avoid taking anything at all from the recycling bin, as many cities have enacted anti-scavenging laws to keep people from stealing (and making money from) recyclable materials. In New York City, the Department of Sanitation owns all recyclables that have been put on the curb for pickup. Still, thieves are actively collecting recyclables in the city. A ring of cardboard thieves, who pick up bundles of boxes that set out for recycling, could be costing New York City as much as $8 to $10 million a year, reported the Atlantic Cities. What are the best ways to obtain discarded items? Across the country, there is a movement to save household items and other practical goods from landfills. Authors Anneli Rufus and Kristan Lawson write about this in their book "The Scavenger's Manifesto," which details why and how to obtain and reuse discarded stuff. An easy way to take something your neighbors have put out on the curb is to ask them if you can have it. When you have permission to take the item, it shouldn't be considered theft. If you're looking for something particular, say a kitchen table or a couch, check the Craigslist ads in your area. People often post curbside alerts, letting people know they're placing something out on the street, or list items they're giving away in the free section. Another resource is freecycle.org, a network that matches people who are giving stuff away to those who are interested in taking it, with an overall mission of keeping more out of landfills. Is trash considered private property? Once you roll your bin to the curb or place your garbage bags on the sidewalk for pickup, you no longer have an expectation of privacy when it comes to your trash. In fact, it can even be searched by the police. In California vs. Greenwood, a case heard by the Supreme Court in 1988, the court ruled that the police could conduct a warrantless search of trash that had been left for collection outside the curtilage of the home. In this case, the police suspected Billy Greenwood of being a drug dealer and asked his regular trash collector to pick up Greenwood's garbage at the curb. In those bags, there was evidence of drug use, which the police used as the basis to get a warrant to search the house, leading to Greenwood's arrest. The court said that Greenwood had no expectation of privacy when it came to his trash. The Supreme Court has defined curtilage, or lands immediately surrounding a home, according to distance, what a fence encloses, the nature of the land's use and if the space can be easily observed. State constitutions may define the term a little differently, but, typically, trash left by the curb or at the end of a driveway is considered outside curtilage. So, when you're throwing stuff away, especially sensitive documents, remember that it's possible that your trash could be searched, not for treasure, but for evidence. PAID ATTORNEY ADVERTISEMENT. This website contains attorney advertising. The choice of a lawyer is an important decision and should not be based solely upon advertisements. THELAW.TV, LLC and our media partner, Post-Newsweek Stations, and its parent company and subsidiaries, are not law firms. THELAW.TV is an advertising platform for lawyers. THELAW.TV is not a lawyer referral service or prepaid legal service plan. The sole basis for inclusion of the participating lawyers or law firms is the payment of a flat fee. THELAW.TV and our media partner, Post-Newsweek Stations, and its parent company and subsidiaries, do not endorse or recommend any lawyer or law firm who appears on this website. THELAW.TV, LLC and our media partner, Post-Newsweek Stations, and its parent company and subsidiaries, do not make any judgments as to the qualification, expertise, or credentials of any participating lawyer, other than to ensure that the lawyer is licensed to practice in their state and is currently a member in good standing of their state bar. No representation is made that the quality of the legal services to be performed is greater than the quality of legal services performed by other lawyers. THELAW.TV, LLC and our media partner, Post-Newsweek Stations, and its parent company and subsidiaries, provide information designed to help the public better understand the law and the legal process. But legal information is not the same as legal advice, which is the application of law to an individual's specific circumstances. THELAW.TV, LLC and our media partner, Post-Newsweek Stations, and its parent company and subsidiaries, do not represent and/or endorse the accuracy or reliability of any information or advice contained in, distributed through, or linked, downloaded, or accessed from any of the materials contained on this website. The legal Q&A videos are informational only and are not intended to provide legal advice. Please consult a lawyer regarding your specific situation. We recommend you consult a lawyer if you want professional assurance that the lawyer's information, and your interpretation of it, is appropriate to your particular situation. You hereby acknowledge that any reliance upon the materials herein shall be at your own risk. Any information you submit to THELAW.TV may not be protected by attorney-client privilege. Thank you.